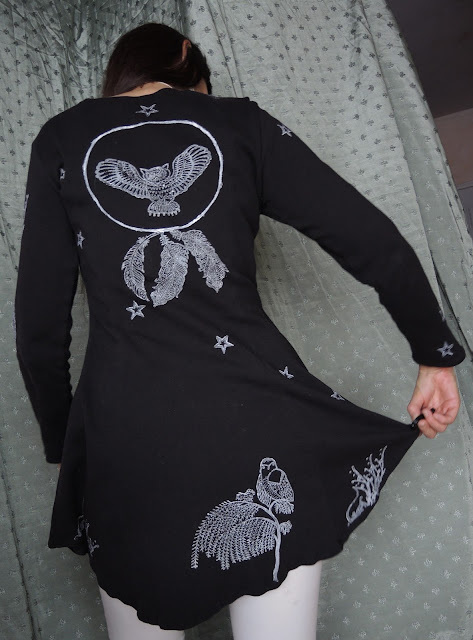 I made a dress to bless the owls! 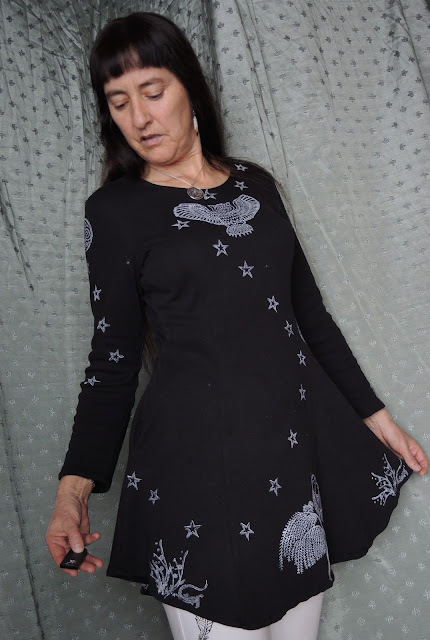 I designed a simple princess seam knit dress that is comfortable and flattering. 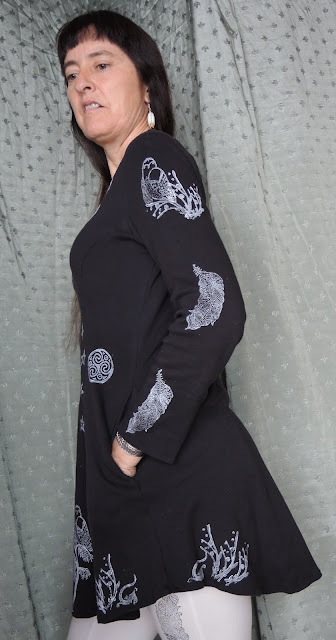 Also with side pockets because I always need to carry the cell phone. First Ever Bra - Watson! I an SO EXCITED about my first bra I ever made!!!!!!!!!!!!!!!!!!!!!!!! 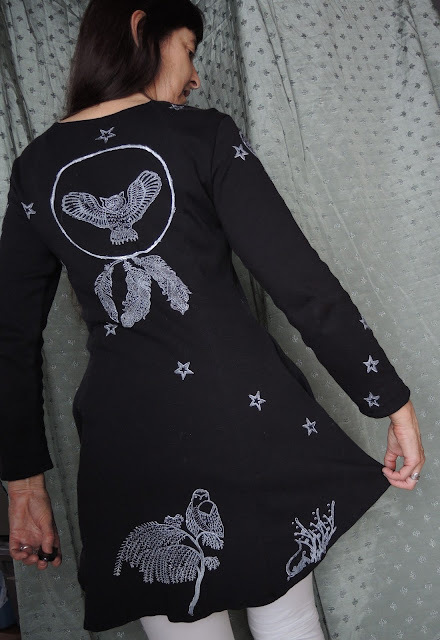 My dear Watson http://clothhabit.com/watson-sew-along/ !!!!!!!!!!!!!!!!!! I am in love! I didn't even do a muslin! But I couldn't have done it without Lauren's GREAT HELPFUL blog posts https://lladybird.com/2015/09/15/completed-blue-lace-watson-bra/ and her tips on bra making https://lladybird.com/2015/08/28/bramaking-tips-tricks-ive-learned-along-the-way/ !!!!!!!!! Lauren has been my inspiration and so so so helpful as I have learned to sew!!!!!!!!!!! The sewing is far from perfect but I had to do some figurando in order to make it to my specs. 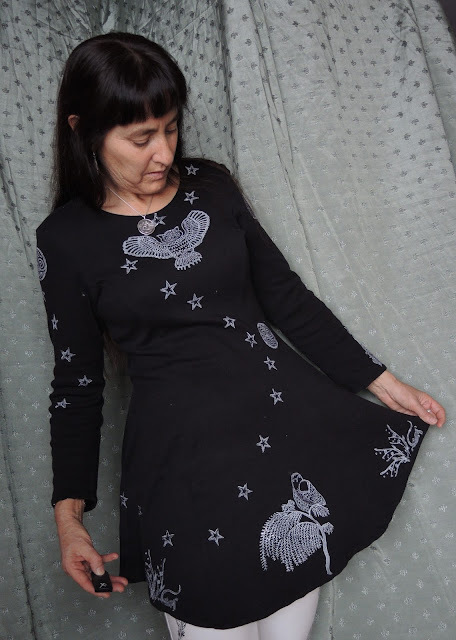 I have always hated the scratchy feel of lace, seams, and some elastics so I covered the cradle seams and side seams on the inside with a nice soft strip of white knit fabric. This is why you can see two rows of topstitching on the cradle instead of one row. I put in bra cups and covered that with the opaque stable bra lining whichI also used for the cradle lining. I didn't have the proper underarm elastic and so I used a decorative elastic and folded it over the seam. My seam would have been too fat folded over (as is in the directions) because of the bit of bra cup that was in the seam. I got my bra making supplies from Bra Makers Supply https://braandcorsetsupplies.com. AND I just ordered some more supplies from https://www.etsy.com/shop/TailorMadeShoppe?ref=pr_faveshops and beautiful stretch lace from https://www.etsy.com/shop/LingerieFabrics?ref=pr_faveshops for my next bras. except the one to which you belong."